Instantly downloadable sheet music (Musiknoten zum herunterladen und ausdrucken) von John Dowland for piano solo of MEDIUM skill level. Instantly downloadable sheet music (Musiknoten zum herunterladen und ausdrucken) von Miscellaneous for piano solo of EASY skill level. 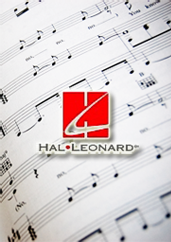 Instantly downloadable sheet music (Musiknoten zum herunterladen und ausdrucken) von Miscellaneous for piano solo of MEDIUM skill level. Instantly downloadable sheet music (Musiknoten zum herunterladen und ausdrucken) von Scottish Psalter for piano solo of MEDIUM skill level. Instantly downloadable sheet music (Musiknoten zum herunterladen und ausdrucken) von Wendy Stevens for piano solo of MEDIUM skill level. Instantly downloadable sheet music (Musiknoten zum herunterladen und ausdrucken) von James Scott for piano solo of EASY skill level. Instantly downloadable sheet music (Musiknoten zum herunterladen und ausdrucken) von Deborah Ellis Suarez for piano solo of EASY skill level. Instantly downloadable sheet music (Musiknoten zum herunterladen und ausdrucken) von John Dowland for piano solo of EASY skill level. Instantly downloadable sheet music (Musiknoten zum herunterladen und ausdrucken) von John Williams for piano solo of MEDIUM skill level. Instantly downloadable sheet music (Musiknoten zum herunterladen und ausdrucken) von Michael Nyman for piano solo of MEDIUM skill level. Instantly downloadable sheet music (Musiknoten zum herunterladen und ausdrucken) von Gabriel Yared for piano solo of MEDIUM skill level.